Nearly 60 percent of Lusher Charter School teachers voted against a bid to allow a union to conduct collective bargaining on their behalf in an election Tuesday afternoon, officials said. The final tally of teachers’ votes was 77-54 against allowing the United Teachers of Lusher to engage in collective bargaining, with one additional ballot challenged, according to Kevin McClue of the National Labor Relations Board. In a separate vote, a group of teacher’s aides voted 8-5 to engage in collective bargaining, but three additional ballots in that group were challenged, McClue said. Both the Lusher administration and the teachers said after the vote that it was too soon to know exactly what will happen next. Lusher CEO Kathy Riedlinger issued a statement that did not address the result of the vote, but pledged to continue focusing on the school’s 1,700 students and providing a strong workplace. 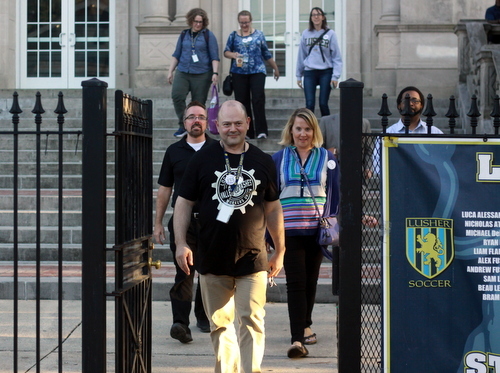 Organizers of the United Teachers of Lusher spoke briefly after the vote to thank the National Labor Relations Board for conducting the vote, and pledged to continue working with the school on the issues raised in the union process. They declined to discuss whether they planned to challenge the results, saying it was too soon to decide. One of the teachers on the union’s organizing committee, high school English teacher Larisa Gray, said after the vote that she has accepted a job at another school, Einstein Charter. The vote result came as a surprise, however, given the 80 signatures that union organizers gathered in support of a petition seeking voluntary recognition. “We were fairly certain we had a much higher count,” Gray said. The Lusher administration refused to allow reporters to observe the tally of the vote on the union election happening at the school, despite federal labor officials’ guidance that such elections are open to the press. 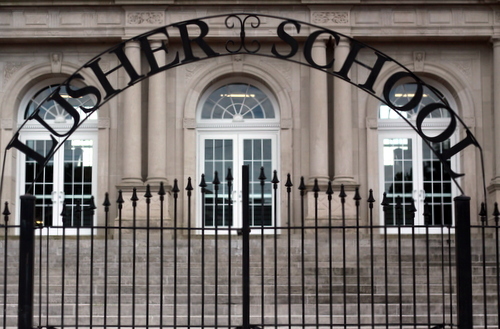 The decision appears to have been made unilaterally by the Lusher administration. Brylski’s firm referred questions about the decision to Bickford, but Bickford refused to answer those questions, saying that her firm does not comment on “pending litigation,” and that the election is a form of litigation. “I’m not commenting one way or the other,” Bickford said when asked why the school did not want reporters present for the vote count. The National Labor Relations Board’s manual states that the vote count may be attended by the media, as long as the owner of the building gives permission. Kathleen McKinney, the regional director of the NLRB office in New Orleans, said she stands by the policy in the manual, but that the NLRB has no objection to the media being present at vote counts. The United Teachers of Lusher would also welcome the media to observe the vote count, said Larry Carter, the president of the United Teachers of New Orleans. Lusher’s board president, Blaine LeCesne, said he was unaware the school administration had decided not to allow reporters, and disagreed with the decision. Given the federal guidelines opening the process to the media, taxpayers should expect access to the decision making at a public school, said Scott Sternberg, attorney for the Louisiana Press Association. “I would think the public, particularly the parents and the citizens that fund the school, have a great interest in monitoring the counting of the ballots in an important election such as this one,” Sternberg said. Has there been an investigation into how much Mag Bichford, the attorney the Lusher’s administration hired to fight against its own teachers, was paid? That should be public information, right? And where did the money come from? MFP? PTO fees? Also, what, specifically, was she hired to do? LeCesne seemed to imply in an earlier article that she was harassing board members and former employees at work by calling them. Has her specific role been publicly clarified? That is an excellent question. When I contribute to Friends of Lusher, is that money being used to pay for Reidlinger to hire council to protect her interests? That was certainly not the intent of my contribution. 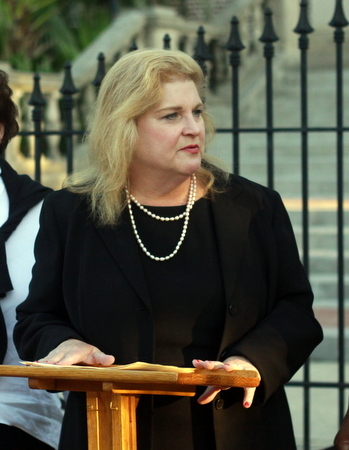 Lusher’s administration did not hire Mag Bickford, Mr. Lescene and the board hired her. In fact, at the board meeting, when she was introduced and hired by a unanimous vote of the board (which does not include the administration), he spoke very highly of her. Hate on Ms. Riedlinger all you want, but she is a talented and effective school leader. One should instead ask, why would the board president regularly use the media to lash out at the school’s own administration and attorney?